FREE ORU Sunglasses + Free Shipping Today! 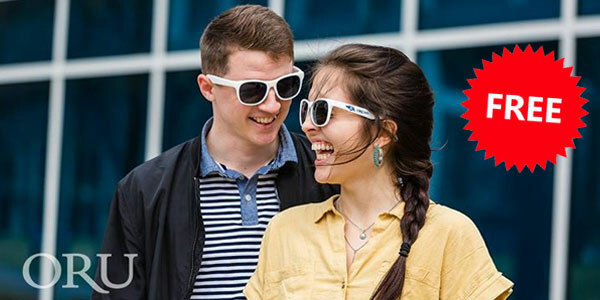 Your future at ORU is so bright you’re going to need a pair of these stylish new sunglasses, just in time for summer! Get a FREE pair shipped to you today! Your future is so bright you’re going to need a pair of exclusive ORU sunglasses. Fill out the form and ORU will ship free sunglasses to you with FREE shipping too!